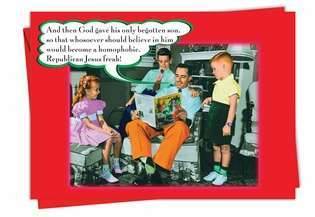 Cover Reads: And Then God Gave His Only Begotten Son, So That Whosoever Should Believe In Him Would Become A Homophobic, Republican Jesus Freak! 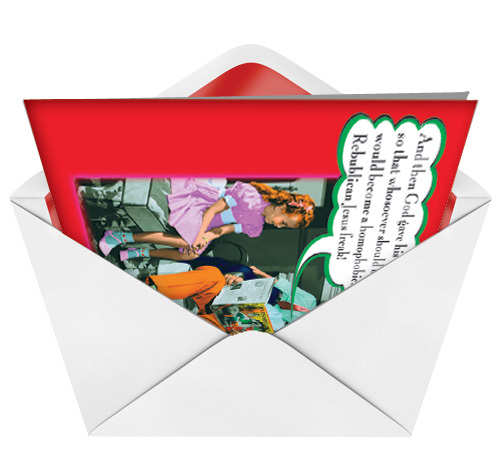 Inside Reads: For Christ's Sake, Have A Merry Christmas! 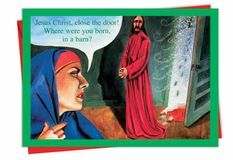 Now you can find out the real reason Jesus gave his only son. 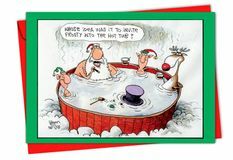 With this funny Christmas card from NobleWorksCards.com, you'll be sure to have the recipient laughing. 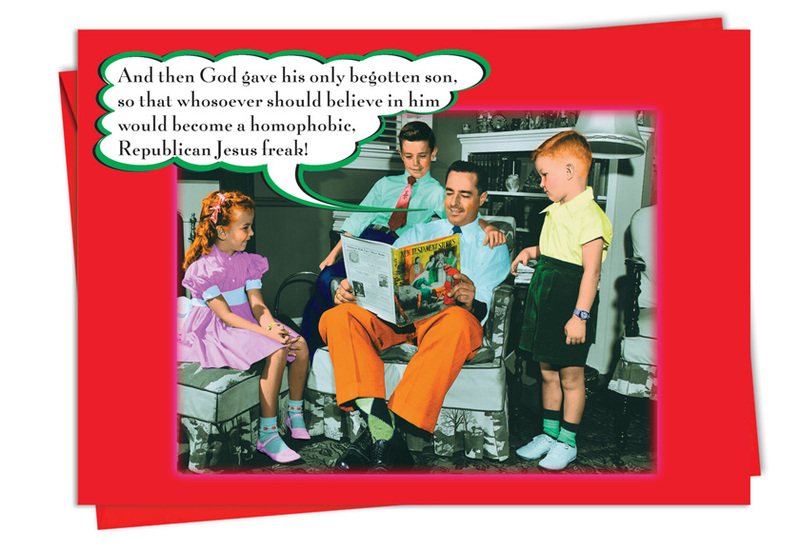 Whether a Jesus freak or not, all can enjoy this humorous card. 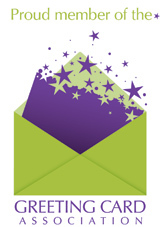 Order your own today.